The ANT-24-0600 2.4GHz Directional Antenna is a range extender antenna that provides an extended range for wireless network. 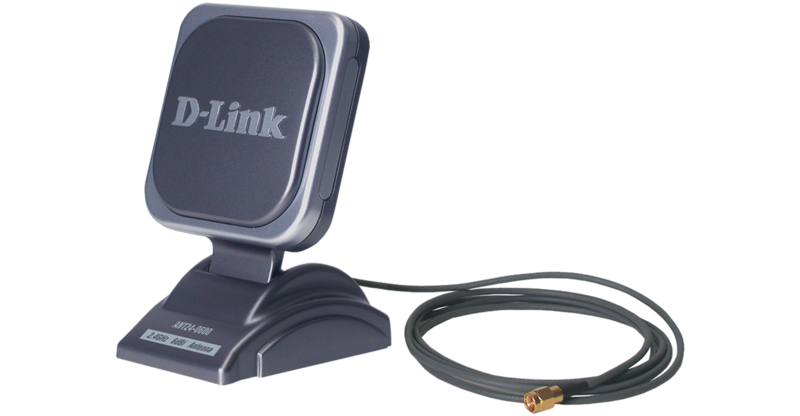 Providing output 2 to 2.5 times higher than that of the 2dBi dipole antennas normally bundled with wireless LAN devices, this 6dBi directional antenna significantly extends your wireless network coverage area by up to 50%. Supporting all 2.4GHz standards, including IEEE 802.11b and the new high-speed 802.11g standard, the ANT-24-0600 antenna can work on any wireless device equipped with an RP-SMA or RP-TNC connector. This directional antenna is suitable for indoor use. You can place the antenna to beam signals directly to wireless users and devices. The ANT-24-0600 can be used to improve signal transmission at sites where the default antenna of the wireless device has a weak transmit output power, and where the omni-directional signal transmission of the default dipole antenna is deemed less effective. The ANT-24-0600 antenna works with all access points and remote routers to boost high-speed wireless signaling in a specific direction. This antenna is easy to install. Installation can be completed in two simple steps: (1) removing the default antenna from the wireless device (the wireless Access Point or Router), then (2) connecting the ANT-24-0600 antenna to replace the old one. The ANT-24-0600 antenna offers several mounting options. It can be placed on a flat surface, such as on a desktop, mounted flat against a wall, or attached vertically to a flat surface, such as a metal door, using its magnetic mounting base. The antenna design provides a focused wireless signal with 80 degree spread, allowing it to be tilted to a desired angle to produce the most effective signal transmission result.